Sheyenne Valley Special Education Unit services approximately 222 students with special education needs in six area school districts: Barnes County North, Hope, Page, Maple Valley, Oakes, and Valley City. 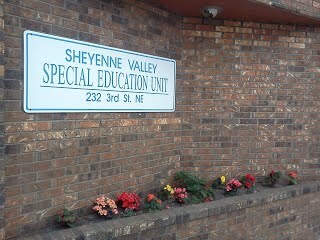 SVSEU employees approximately 29 certified staff and 27 para educators. is comprised of Barnes County North, Hope-Page, Maple Valley, Oakes, and Valley City Public Schools.